In Wales the classic Folk harp of the Renaissance had brays, horsehair strings, bone tuning pins and mare's skin stretched over the soundbox. Descriptions of these instruments appear in many Welsh poems of the 15th and 16th centuries. These Renaissance harps were still used in Wales long after they disappeared in the rest of Europe. Welsh harp players used five tunings, which are recorded in 16th-century treatises and repertory lists. These tunings were also used in the Harp manuscript of Robert ap Huw which was written in a unique tablature. The songs in his 16the C. manuscript contain examples of harp music composed by 14th- and 15th-century bardic harpers in Wales and gives precise playing instructions. 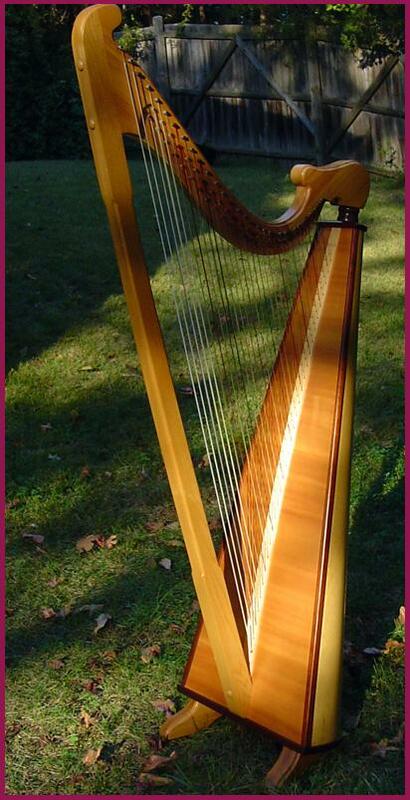 The triple harp first originated in Italy and appeared in the British Isles early in the 17th century. In 1629, the French harpist Jean le Flelle was appointed ‘musician for the harp’ at the King's court. 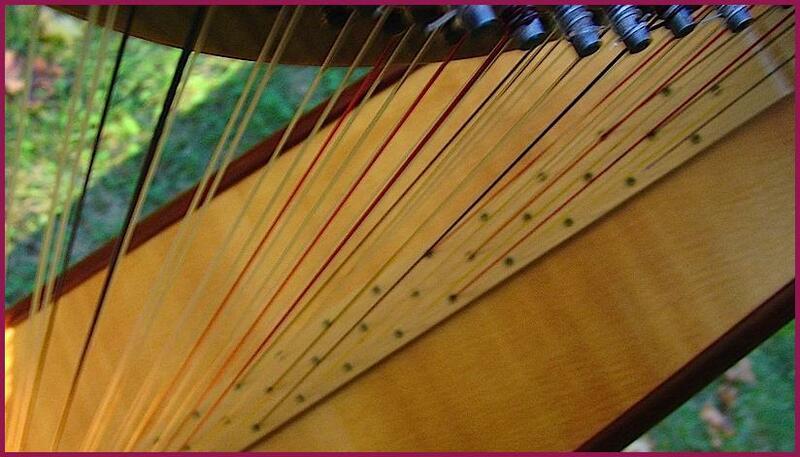 Flelle played the Italian triple harp with gut strings. The triple harp was quickly adopted by the Welsh harpers living in London during the 17th century. 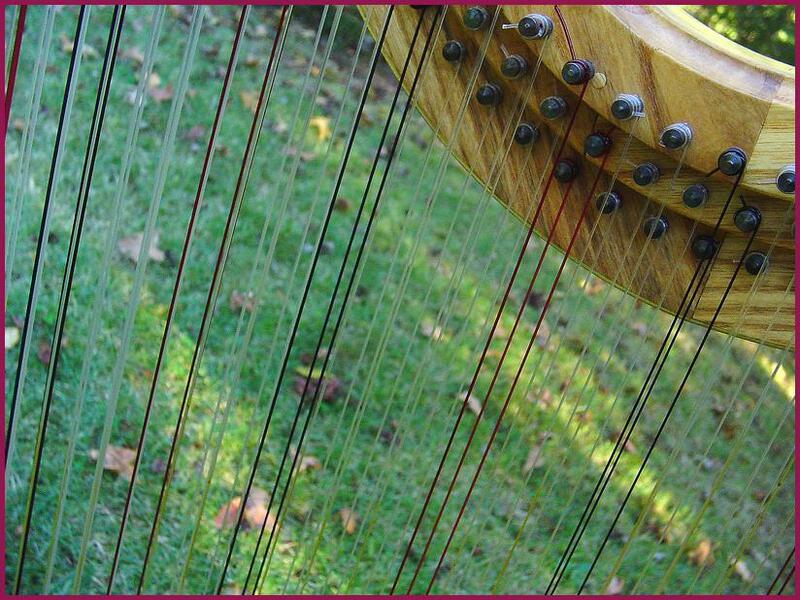 It was so popular that by the beginning of the 18th century the triple harp was already generally known as the "Welsh harp". Charles Evans was the first mentioned Welsh triple harpist. He was appointed harper to the court in 1660, where his official title was ‘His Majesty's harper for the Italian harp’. "The compass of the Triple Harp, in general, is about five octaves, or thirty-seven strings in the principal row, which is on the side played by the right hand, called the bass row. The middle row, which produces the flats and sharps, consists of thirty-four strings; and the treble, or left hand row, numbers twenty-seven strings. The outside rows are tuned in unison, and always in the diatonic scale, that is, in the regular and natural scale of tones and semitones, as a peal of eight bells is tuned. When it is necessary to change the key, for instance, from C to G, all the Fs in the outside rows are made sharp by raising them half a tone. Again, to change from C to F, every B in the outside rows is made flat, by lowering it a semitone. When an accidental sharp or flat is required, the performer inserts a finger between two of the outer strings, and finds it in the middle row. Many experiments have been made, with a view of obviating the necessity of tuning the instrument every time a change in the key occurred. Brass rings were fixed near the comb, but those rattled and jarred; in short, every attempt failed until the invention of the Pedals. …"
Among the most important and characteristic playing techniques is that of "Unisons". The effect of ‘unisons’ is obtained by playing the same note on both the outside rows using the right and left hands in rapid succession. Thus a progression of e.g. C-D-F-E, is achieved by playing CC-DD-FF-EE. 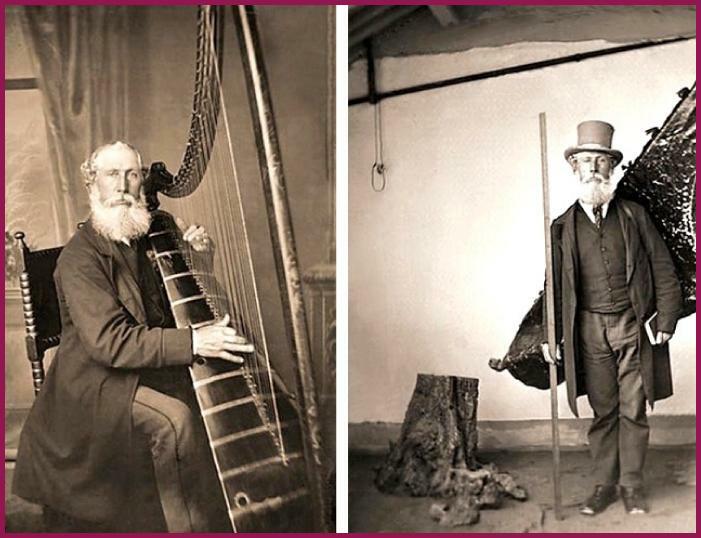 After the early 20th century triple harps were almost completely abandoned in Wales in favour of the modern pedal harp. Preservation of the instrument and the playing style have been attributed to one person, Nansi Richards-Jones (1888–1979), who learnt to play from Gypsy harpists in the Bala area at the turn of the century. Current performers of the Welsh triple harp include Eleanor Bennett, Dafydd Roberts, Robin Huw Bowen, Cheryl Ann Fulton, Ann Griffiths and Llio Rhydderch, most of whom were her students. "From the moment I sat down at the triple harp I thought something terrible had happened to my eyes--three of every string, but the bloody things weren't even lined up so their patterns might give me the same optical cues that "normal" harps had always given me. I did get one good piece of advice from triple harper Kelly Stewart- play lower on the strings and you can see them better. Well, it helps a little but...after a few months I am finally getting used to the visual mess! The best cues I have come from my hands, since harpists have to play by making certain shapes with their fingers, placing and then plucking the strings. The shapes really tell me where I am better than my eyes, and of course, my ears tell me when I've got the wrong notes! But the other thing that happened to me when I began playing this harp is that I fell deeply and irrevocably in love with it: the sound, the feel and the capabilities of the thing! So, for me, it's worth the effort to learn to relearn everything on my triple and risk that feeling of being a raw beginner again!" "Well, it has been a number of years since I first brought my triple-strung harp home from its maker, Bob Cunningham in Atlanta. It has traveled a lot of places—from Philadelphia to Nebraska and down south to Louisiana, (for a little Cajun fare…). Wherever I take it the magic of its characteristic bright yet fluid sound draws new admirers of this rare and delightful instrument. Playing this harp has truly challenged and delighted me. I have had to learn how to play a lot by feel, which is also very helpful in low light situations. I listen over and over again to recordings by great triple harp players, particularly Robin Huw Bowen and Llio Rhydderch, to get a feel for how the triple harp is used in traditional Welsh music. Each triple harp player has their own style and hearing what they do inspires my arrangements of Welsh tunes. 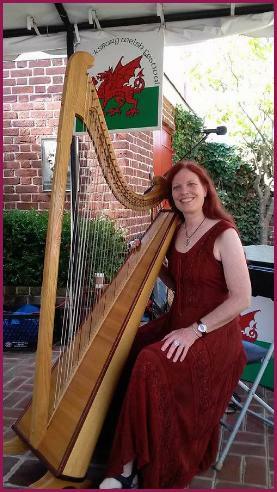 I’m grateful to be an American triple harpist of distant Welsh descent, playing in my own evolving style. Welsh triple harp is a living tradition, and one that is experiencing its evolution in a small but growing diaspora of triple harp players outside of Wales. We all can’t live in Wales, anyway! How else would folks in the rest of the world get to enjoy live performances of Welsh triple harp? And how else would this harp continue to evolve as a vital and living instrument of distinct expression? This harp began as an Italian instrument and was shaped over time by Welsh players. Now it is available to anyone who has the gumption and means to find one and play it, anyone on this planet who has a powerful desire to learn and grow with this harp, and in turn, add to the evolution of this harp. Perhaps it will find its way into folk music of many traditions. Anyone looking for the ringing and liquid sounds afforded by a double row of strings, coupled with quick access to accidentals, may find this the ideal harp. I look forward to many years of playing and experimenting with this lovely harp, God willing! It will be intriguing to see where this instrument takes me over the next few years, musically and geographically! Hopefully, I’ll get to record it again with the band—Moch Pryderi is due for another recording!" 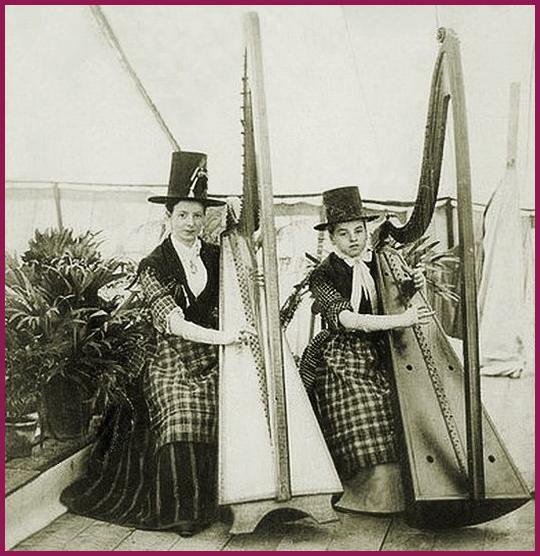 John Roberts (d. 1895) was both a Welshman and a Romany who took the Welsh triple harp into circles of European royalty while maintaining his roots in both the Welsh and Romany musical traditions.